Fasig-Tipton has catalogued 360 yearlings for its Midlantic Fall Yearling Sale, to be held on Tuesday October 4 in Timonium, Maryland. The sale will begin at 10 am. This year’s catalogue cover features a host of recent graded stakes winning stars to come from Timonium, headlined by Eclipse Champion Stellar Wind, G1 Kentucky Oaks winner Cathryn Sophia, and G1 Stephen Foster H. winner Bradester. “The three sale graduates on this year’s cover – Stellar Wind, Cathryn Sophia, and Bradester – are among the leaders of their respective divisions and representative of the type of quality produced by this sale each year,” said Midlantic Sales Director Paget Bennett. 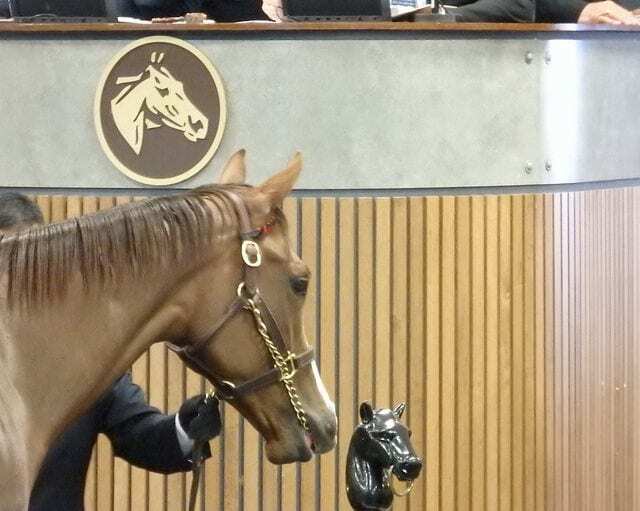 Bennett also noted the broad diversity of yearlings in the sale that qualify for ever-improving state-bred programs. The catalogue is now available online. Print catalogues will be available from all Fasig-Tipton offices by September 9.